It’s the time of the year again. 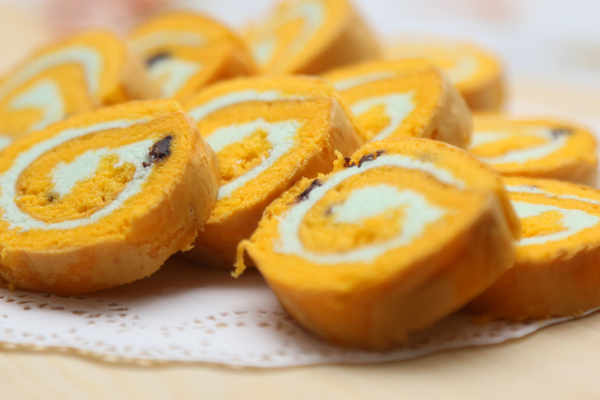 Cakes, biscuits and cake rolls, you name it. 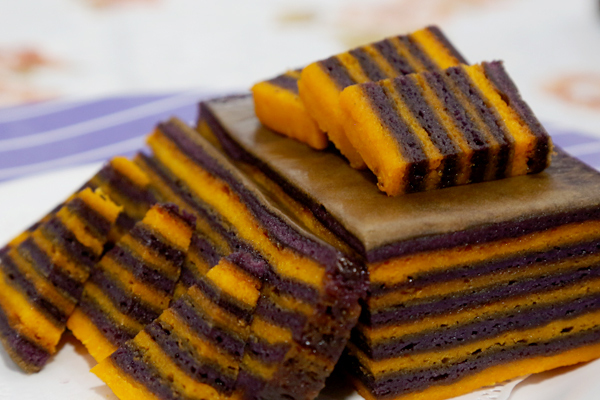 It’s the time of the year for you to make your orders in time for Hari Raya. 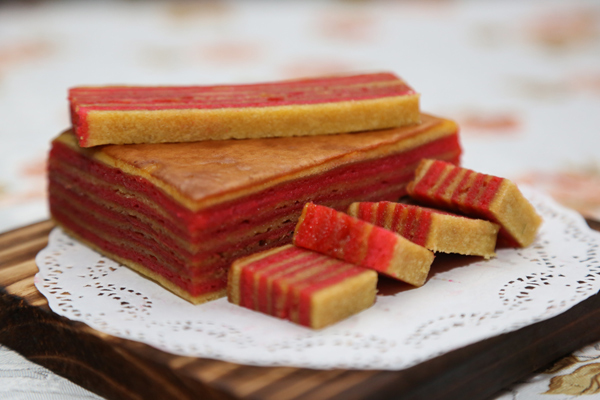 The pictures below are just a few from the list available from RZ Lynz Bakery and they are ready to accept orders and the final order will be on 5th June 2017. What can you expect from the list? 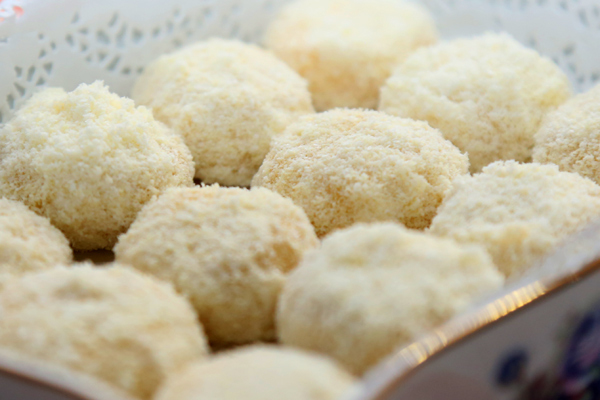 Or even better you can for different packages if you tend to buy in bulk. Below are the list as follows. Final order – 5th June 2017. Concepts Computer, one of the largest IT retailer in Brunei, along with Kingston Beverage & Creamery Sdn. 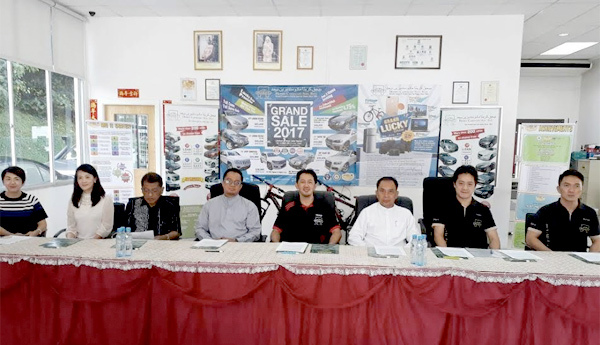 Bhd., one of the oldest canned-beverage distributor in Brunei, is signing a collaborative MOU for promoting their respective products during the holy month of Ramadhan and the festive month of Syawal. 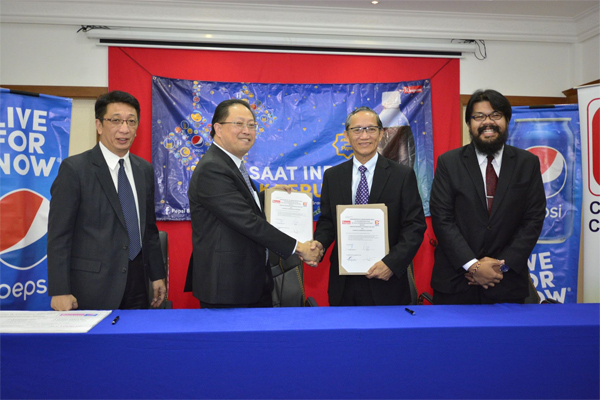 Signing on behalf of Kingston is Mr. Malcolm Lim, Managing Director, and Mr. Valentine Hon, General Manager for Kingston Beverage & Creamery. While on behalf of Concepts Computer, Mr. Vincent Pao, General Manager, and Mr. Zul Abdul Rahman, Marketing Executive for Concepts Computer. For every purchase of an Acer notebook or PC, or projector from Acer or Epson, during the month of Ramadhan and Syawal, a coupon will be provided, redeemable for a carton (24 cans) of canned-beverage. Redemption of each coupon will be done at Kingston Beverage & Creamery redemption centres in Beribi. Please note, Kingston’s redemption centre will start operating from June 13 th til July 31st 2017, from 8.00am til 5.30pm, Mondays to Fridays. 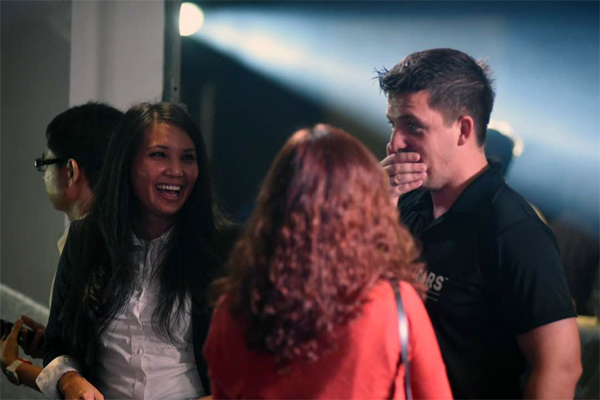 But to compensate for the Hari Raya rush, the redemption centre will also be open for half a day on Saturdays two weeks before the start of Hari Raya. For more information call 2233551, 2233552 or 2233553, or visit your nearest Concepts Computer Showroom. 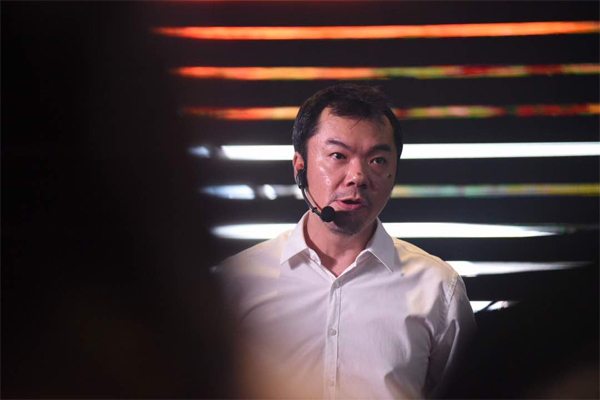 John Tan, marketing manager of TCY Motors, being the emcee for the launchBorn on the track. Built for the road. 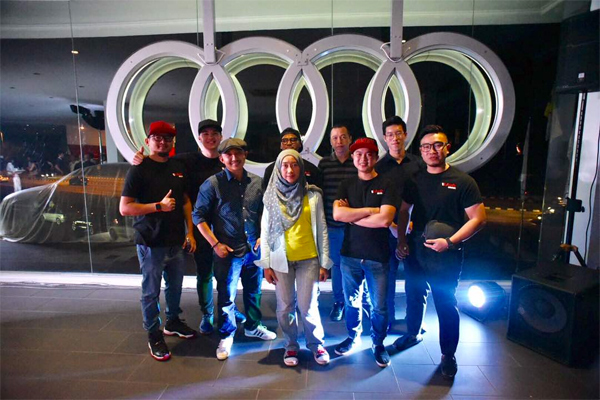 TCY Motors this evening hosted exclusively invited customers and guests to the brand launch for Audi Sport Brunei and subsequent unveiling of two performance models- the S3 Sedan and S6 Sedan V8 at its showroom/headquarters in Kiarong recently. 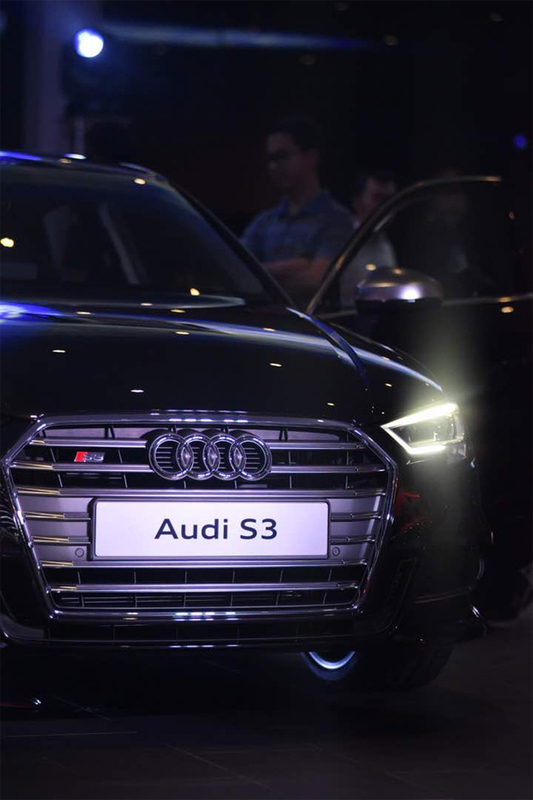 Part of a global strategy by Audi, the new sub brand serves as a platform to showcase Audi’s performance models which inherit innovations & traits from their motorsport equivalents. Audi Sport’s foundation is also the brand’s successful dominance in motorsports such as Formula E, World RX, the European DTM and GT3 customer racing. Audi also left a huge legacy in the 23 Hours of Le Mans championship with 13 title wins. 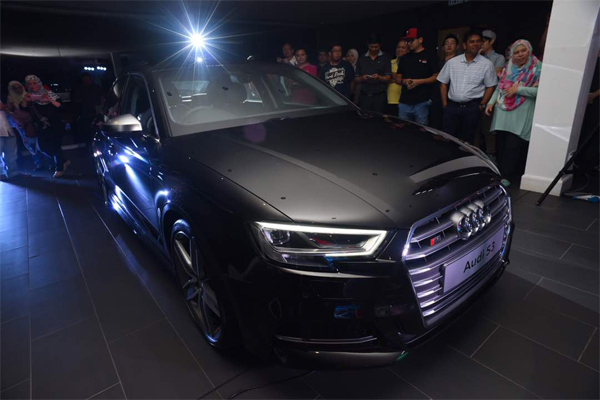 For Brunei, the refreshed Audi S3 Sedan (290hp/380Nm) with B&O sound system and 19” ‘star’ design sports wheel will be the entry level model followed by the powerhouse Audi S6 Sedan V8 (450hp/550Nm) which features Cylinder on Demand technology where half of the 8 cylinders can be switched off during normal drive for fuel efficiency. BOSE sound system, Valcona leather, air suspension Sport and massive 21” 5-spoke ‘blade’ sports wheels are just some of the equipment that comes standard. All S models also come with quattro permanent all wheel drive as standard. 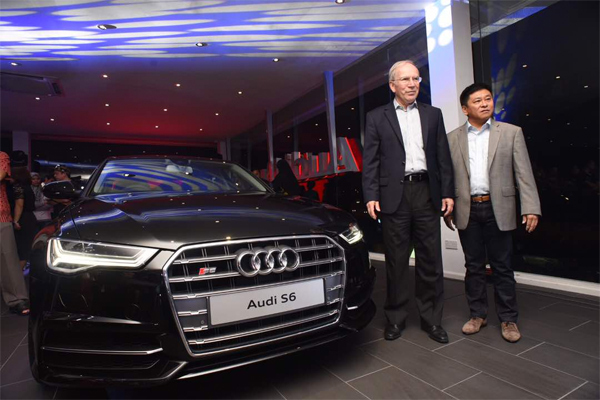 Future performance models to be introduced under Audi Sports Brunei will be the Audi S7 Sportback and the Audi S5 Coupe. Mr. Teng Chee Khiong the managing director of TCY Motors was on hand to present a memento to the German ambassador to Brunei HE Mr. Roland Grafe who attended as guest of honour. Other corporate guests from BIBD Perdana, Baiduri Bank berhad and BETTER also attended. A prize presentation for winners of a weeklong Facebook quiz was also held. 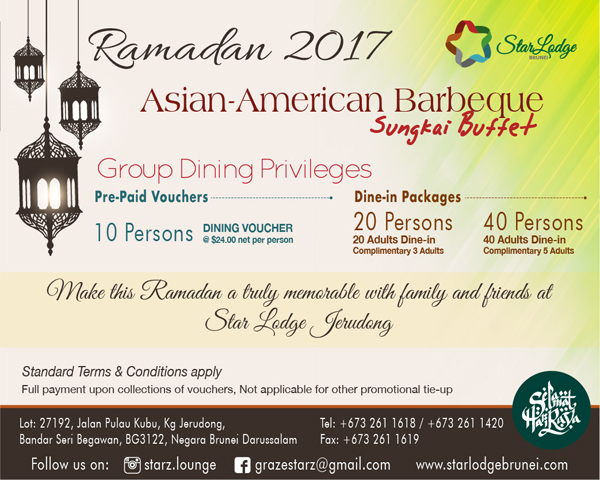 This Ramadan, Star Lodge Jerudong will be captivating Asian cuisines with American flair of barbeque, offering the widest buffet spread in Jerudong. 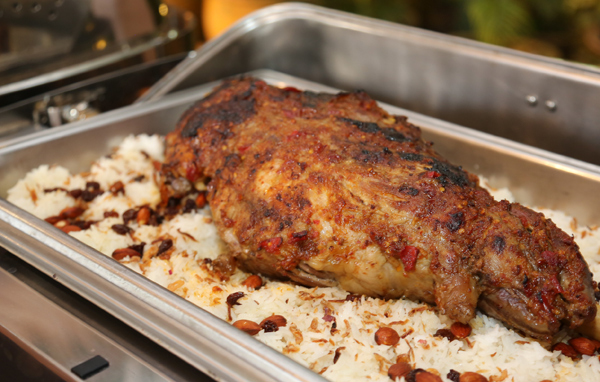 Diners can enjoy a large variety of traditional Ramadan delicacies inspired by our signature dish Lamb Ouzi, Kitaro’s Sushi & Maki and Slow Roast Whole Lamb along with delectable gourmet desserts. The choices are definitely more than last year’s. 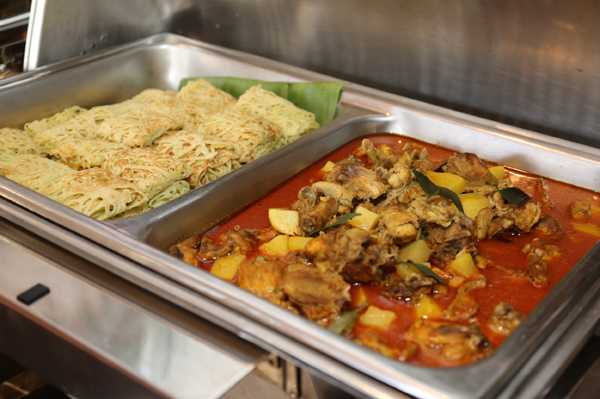 The main course dishes are plentiful, more than 10. 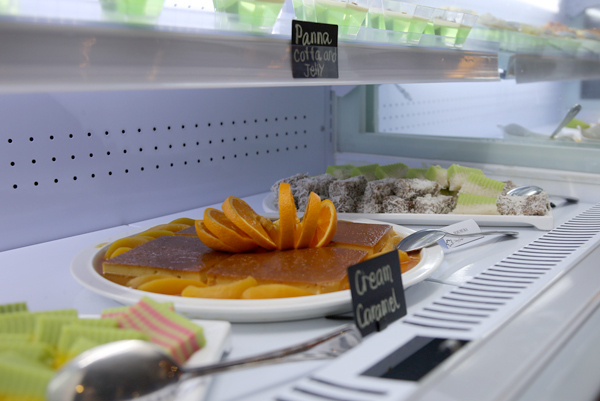 I commended the chill counter where cold salads and desserts are being served. 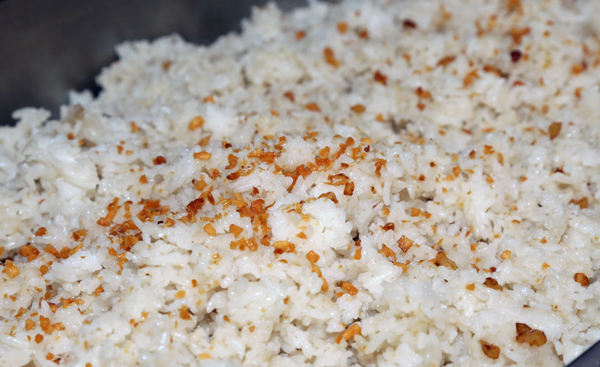 It was quite rare that I would target for appetisers but I did because I am now have to be mindful of my salt intake. 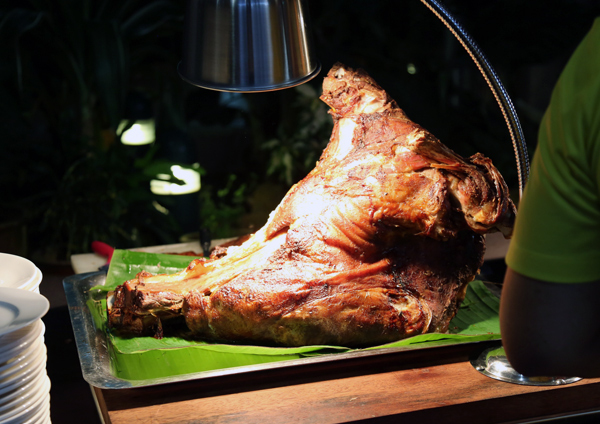 For the opening Sungkai, Star Lodge had quite a number of patrons last night and the feedback has been pretty good. 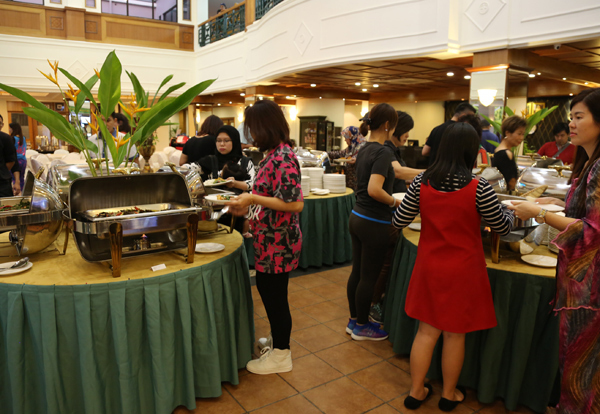 It was also the first time Star Lodge introducing vouchers for a group of 10, 20 and even 40. The bigger the numbers, the better the deal for sure. Definitely worth the value for patrons. 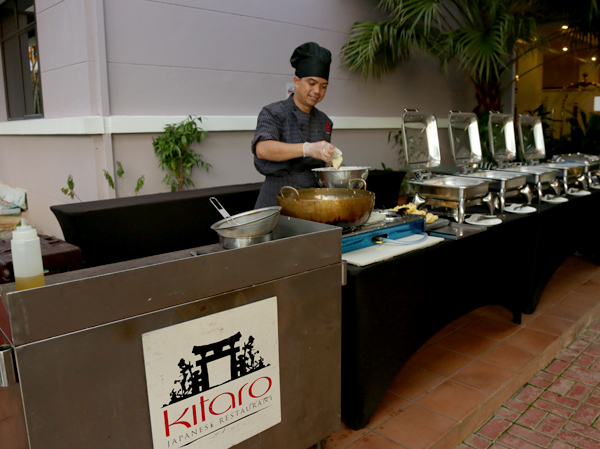 Decorated in warm and relaxed atmosphere, Star Lodge also features private areas for VIP gatherings or group celebrations as well as private caterings with customize menus for minimum 30 persons. 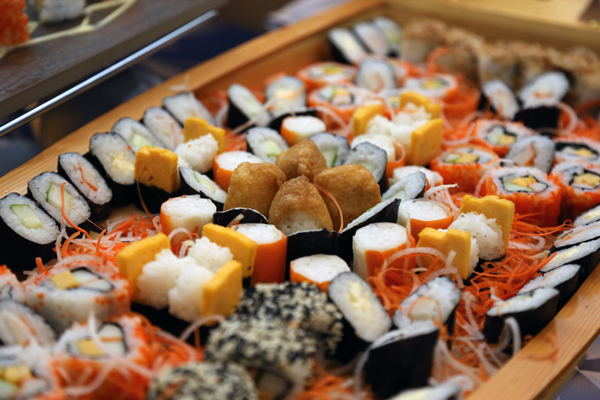 The fully replenished buffet is available every day from 6.00pm to 9.30pm, please call 261 1618 ext. 8870 | 8865. 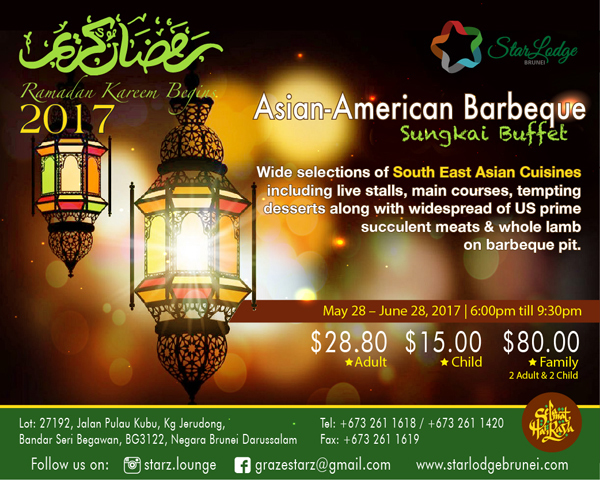 Follow @starz.lounge and @starlodgebrunei for updates. This model has only been two months old in Brunei. The Mini Countryman model. 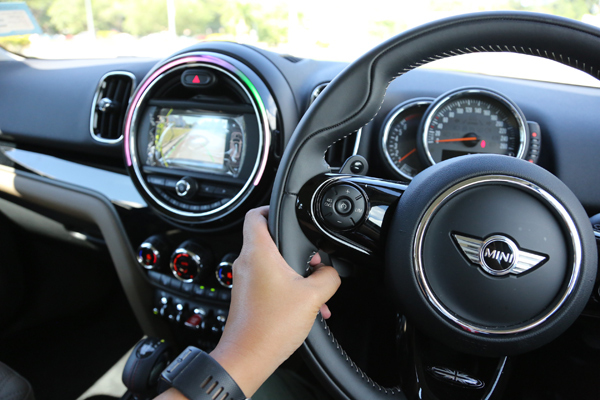 It was launched early April at Mini Showroom at Mabohai Shopping Complex and I had the privilege to test drive it around to see what the Mini Countryman Cooper S has to offer to potential owners. I have driven a Mini before but not the Countryman. 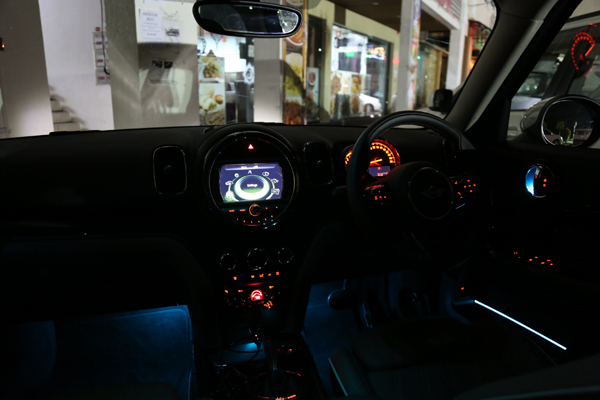 Let me share the specs first on the Mini Countryman Cooper S has. 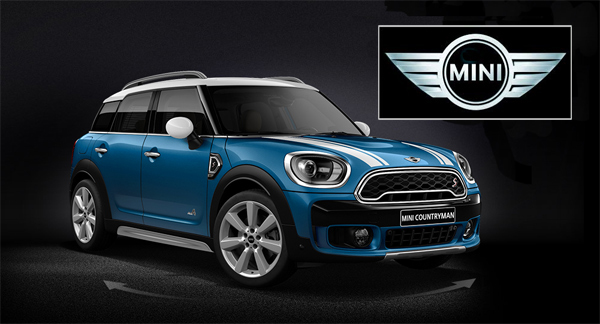 • The new MINI Countryman is 20 centimetres longer than its predecessor. • Electrical tailgate control as well as touchless opening and closing of the tailgate. • Five fully-fledged seats, clear increase in space and versatility. • MINI Picnic Bench: fold-out load loading sill cushion as a comfortable seat on the luggage compartment lid and for general outdoor use. 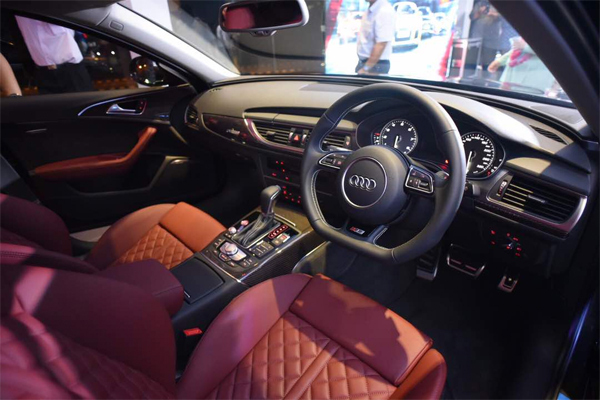 • Central instrument with touchscreen function for the first time. • MINI Country Timer measures driving fun over demanding terrain. The new MINI Cooper S Countryman Specifications. Four-cylinder petrol engine with MINI Twin Power Turbo Technology (turbocharging, direct injection, VALVETRONIC). Max torque: 280 Nm from 1,350–4,600 rpm. Acceleration: 0-100 km/h in 7.4 seconds. Average fuel consumption to the EU standard: 6.0 l/100 km. Combined CO2 emissions to the EU standard: 141 g/km. An electric tailgate control is available as an option. This makes touchless opening and closing of the tailgate possible in conjunction with Comfort Access. The optional storage package comprises not only a variable load floor, lashing eyes and tension straps but also a stainless steel insert on the loading sill. One unique option is the Picnic Bench – a flexible surface that folds out of the luggage compartment and provides seating for two people. The latest generation of the MINI Countryman goes even further in terms of the model’s versatility, agility and premium character. Thanks to its powerful proportions, the new MINI Countryman has a particularly distinctive presence. Its unmistakable aura is defined by an extended ground clearance and raised seating position, further emphasised by the MINI ALL4 exterior look (for Cooper S variant only) and high roof rails. The new MINI Countryman features design elements that are typical of the brand, including the clear three-way structure of the side view – broken down into roof, glass section and main corpus – as well as the short overhangs, large wheel arches and downward increase in width. Precise contours on the generous surfaces create an attractive play of light and shade that underscores the car‘s athletic shaping and the vertical orientation of the body. The selection of body finishes includes the variants Island Blue metallic and Chestnut, which are now available for a MINI for the first time. Numerous model-specific design elements such as the striking helmet roof, the upright rear lights, the hexagonal radiator grille and the large headlamps have undergone evolutionary development. The side turn indicator surrounds known as side scuttles exhibit a new arrow-like shape. The roof rails in satin-finished aluminium are combined with silver-coloured side sill tops, thereby lending greater visual emphasis to the car’s height. Horizontal lines dominate at the rear, with the vertically arranged light units providing an appealing contrast. The striking profile of the headlamp units deviates from the circular shape that is otherwise typical of the brand. Their distinctive, slightly asymmetrically rounded contour goes together with the radiator grille to produce an unmistakable front view. The parking lights integrated in the air inlets are used for the daytime driving light as standard. In conjunction with the optional LED headlamps, the latter is generated for the first time by a band of light running entirely around each headlamp. With a clear horizontal structure, stretched lines and generously sized surfaces, the distinctively designed cockpit emphasises the solid character of the new MINI Countryman. The profile of the air vents echoes the vertical orientation of the exterior design elements. In addition to the high-quality materials and precise finish, the modern, ergonomically optimised controls contribute to the car’s exclusive ambience. The hallmark central instrument is integrated in the instrument panel and is surrounded by an LED ring that provides a lighting display in response to driving situations by way of control feedback. 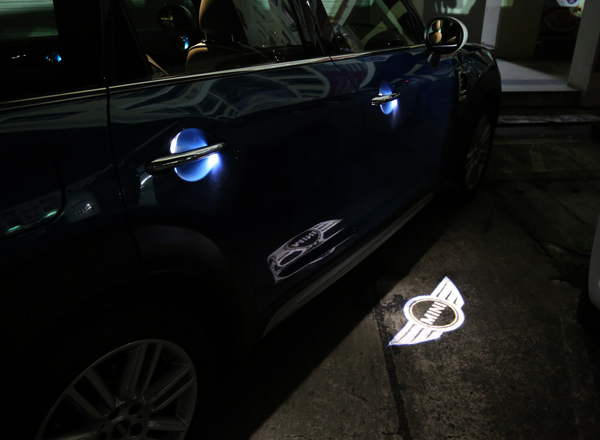 This forms part of the MINI Excitement Package, which also comprises the LED ambient lighting and a projection of the MINI logo from the exterior mirror on the driver’s side when opening and closing the car. I drove it for a few days and I love it. Ok, maybe I’m too “sakai” over this. This happens whenever I unlock the car. My thoughts after test driving: I am sold (If I only have enough resources). There is so much to love about the Mini Countryman Cooper S. It feels quirky, high quality or should I say a premium feel. The cockpit design does win my heart and loving how the colours are portrayed within the surroundings, making my driving experience a little more cheerful and colourful. It definitely lifts up my mood subconsciously. Practically wise, this ranks quite high. Why? It’s pretty spacious for a Mini. The side bin compartment (by the door) are spacious even and I’m a person that brings many small things along with me. You should have seen my actual car (Just too many things but little places to put). Even the back is quite spacious. I can safely put my bag pack and my tennis bag and still have more room to play with. 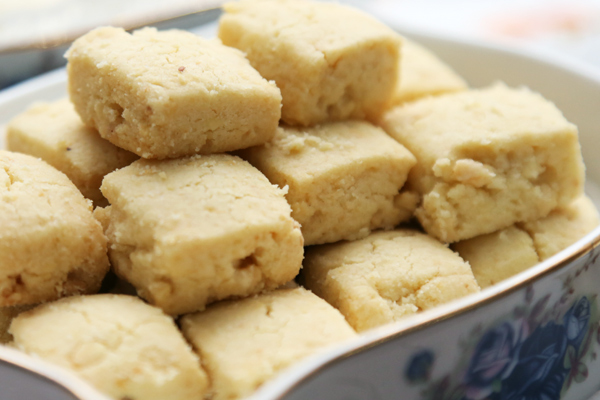 Ah, ideal when you are heading for a family picnic. Now the driving experience. 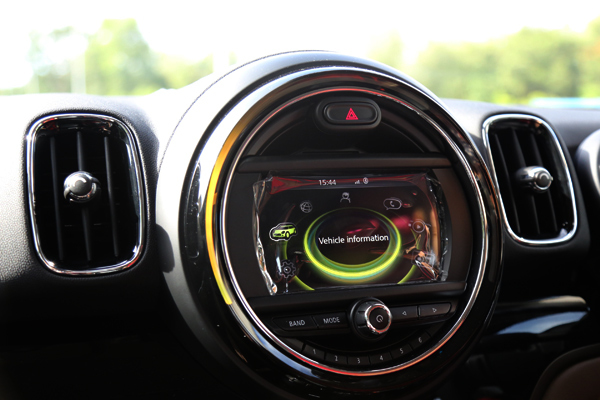 This could be the buying factor for potential Mini owners. It has power, speed, stability and most of all, comfort. Sometimes I have to remind myself to drive within the speed limit because once you’re in the “comfort” zone, you can’t even feel that you are driving that fast. I played around with different driving mode from Green (economical) to Sport and you can feel the difference on how the Countryman responds when you press on the accelerator. The Countryman handles cornering pretty good too (better than other continental cars I tell you) and it must be the progressive steering mechanism. One thing I that annoys me is that the ergonomic seating and spacing make it tougher for me to place my phone. I know it’s a bad habit to even touch with your phone while driving but in the Mini, my phone has a mind of its own to fall into the gaps *lol* Most of the time, the driver (me) will have a tough time even reaching my phone through the gap. So I will give up instead and keep driving to my destination. 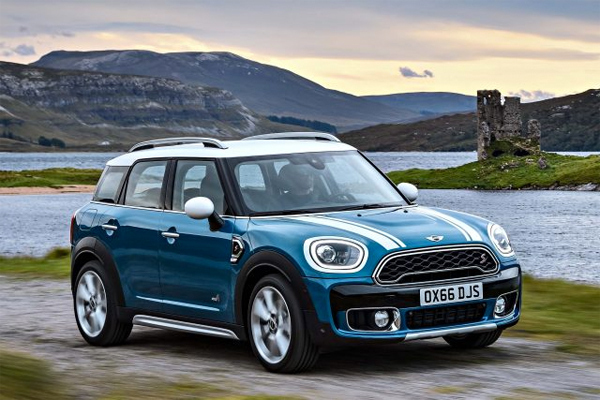 The price tag might also make you think twice about the Mini Countryman Cooper S. However, once you test drive the Countryman, you will understand why one person will be investing in this unique model. I will definitely be a proud owner if I have the resources and would be my priority. It’s so much fun and inspires me simply drive out for no reason. 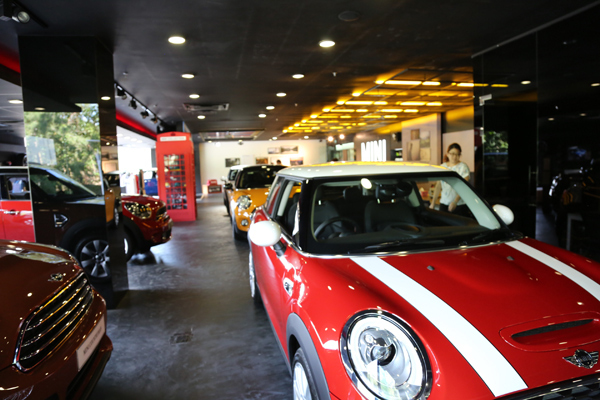 You want to check out more, do visit their showroom at Mabohai Shopping Complex or visit their website www.mini.com.bn or their IG @mini_brunei for updates. 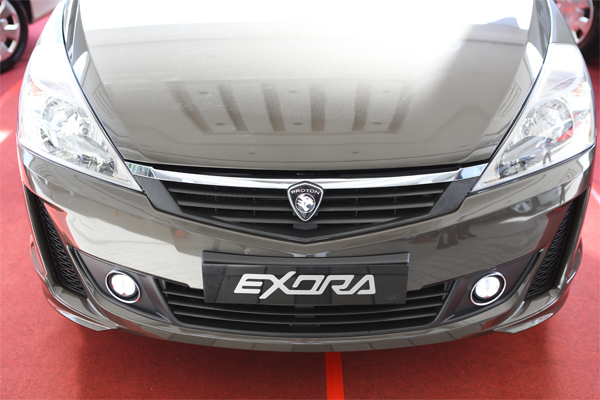 The new Proton Exora has finally arrived and it was launched last weekend at Times Square Shopping Centre. 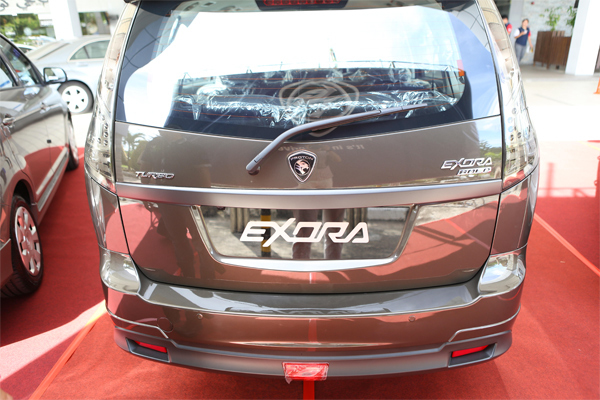 Hambali bin Pehin Orang Kaya Shahbandar Dato Seri Paduka Hj Mohd Salleh, Director of Pad Motors, shared with the media and the audience on the great features and qualities coming from the Proton Exora. 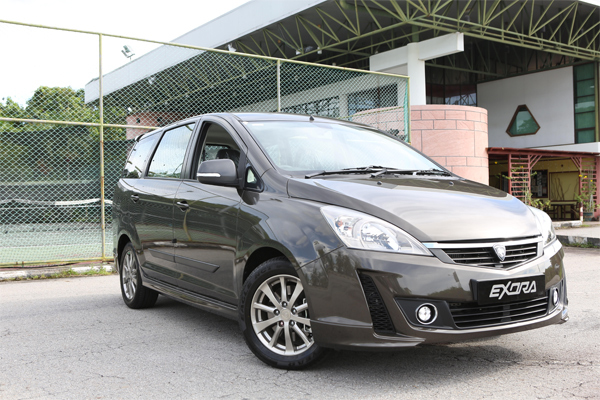 The first impression of the Proton Exora gave me is that this model aims the family segment. 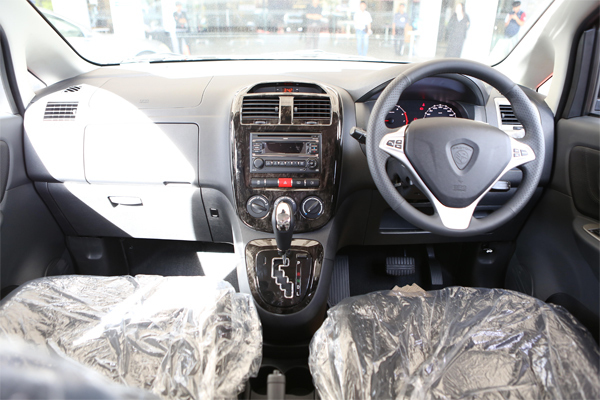 You can enjoy comfort, power and it packed with many advance features and impressively safety features. 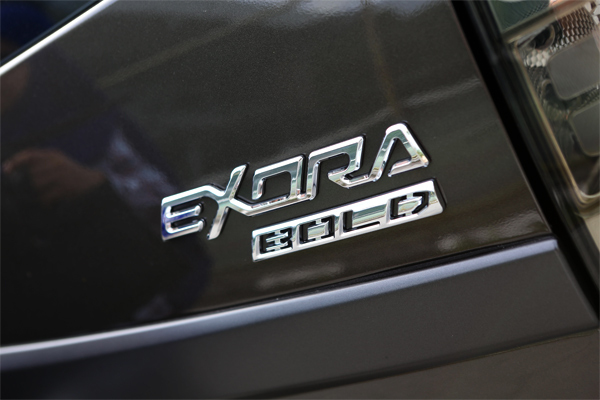 You can choose two models – the Executive and the Executive Plus models. 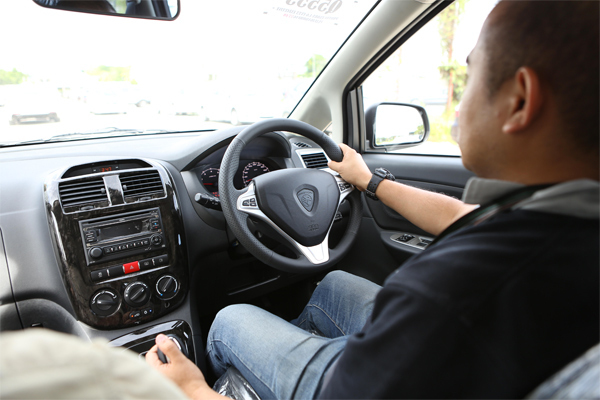 The media was able to test drive the Proton Exora Executive Plus (powered by 1.6L Turbo Engine) and it felt like you are driving a 2.0L engine with a lower fuel consumption. The engine develops 103kW (138hp) of power & torque of 205Nm @ 2000-4000rpm. 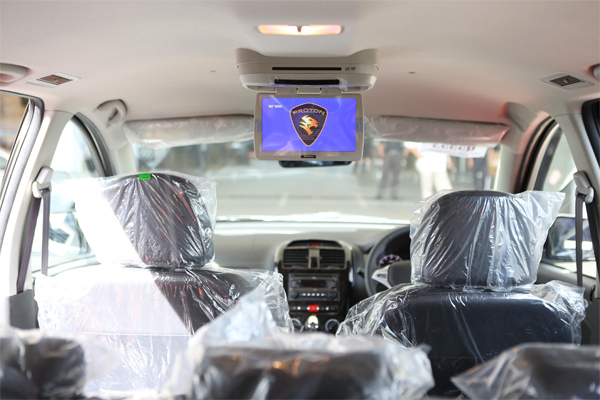 The upscale upholstery was impressive, and the Executive Plus model came with a 8.5” Overhead LCD Monitor and DVD Player also equipped with SD and USB card slots, which many may find very handy. Another short hiatus from me as I was away from Brunei. 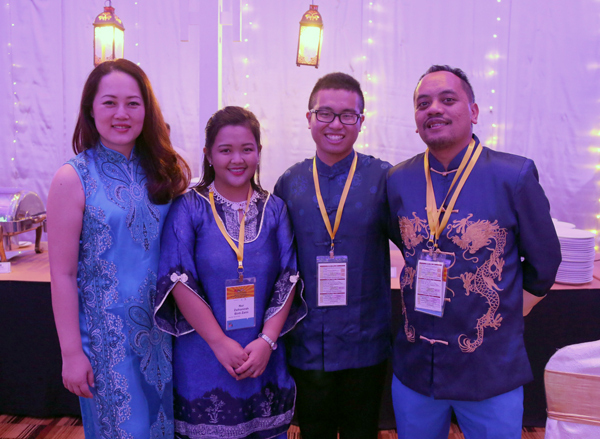 If you have been following me on social media, I was away in Kota Kinabalu to support my friends who were competing in speech contest in English and in Mandarin. Even though I brought my notebook with me, it wasn’t easy for me to update my blog. The schedules were packed but I had still a great and fruitful time nonetheless. Last weekend was one of the highlights of the year. 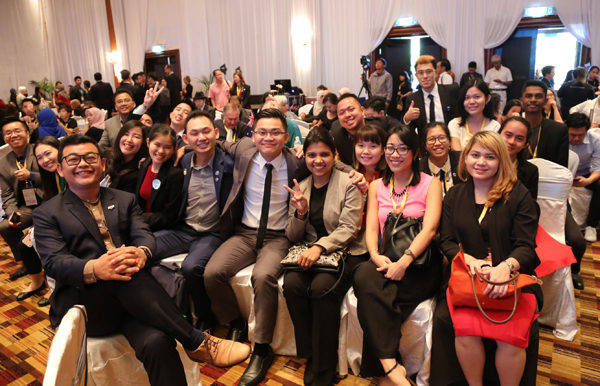 Almost 30 from Brunei toastmasters (Area K6) left for Kota Kinabalu to support our representatives from Brunei – Allen Ang, Pooja Shivanand, Sandy Tan and Theressa Chong and featuring our humour master Jidun Dollah. Though we only brought one trophy back, it was still a surreal feeling to witness the closeness and the family nature of the Brunei contingent whenever we travel as a pack. Nothing can top how we are in the district. Now I’m back in Brunei and nursing a runny nose (I wonder who gave it to me mmmm) and a tummy bug where I frequented the toilet. 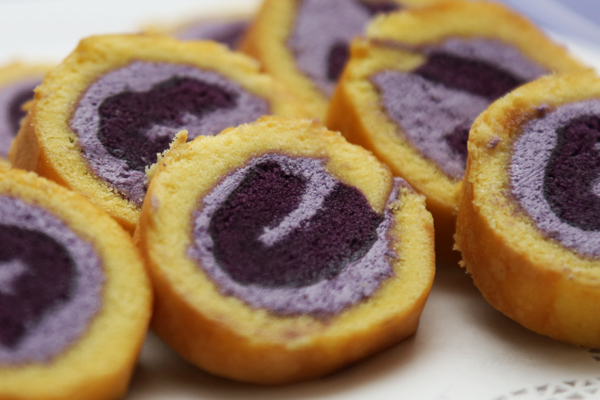 It’s time for me to get into second gear and soon it will be the fasting month. I have been missing a few events also during the weekend in Brunei and it could just be the final weekend before Ramadhan kicks in. I was contemplating back then if I want to continue and do food reviews and collaborate with Filterworks once again for Sungkai promotion but I finally come to a decision that I will take a break for this time round. 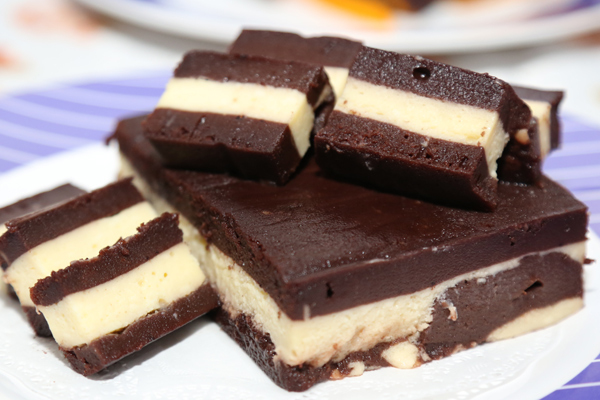 Nonetheless, I will still help to promote eateries her and there but not in depth. 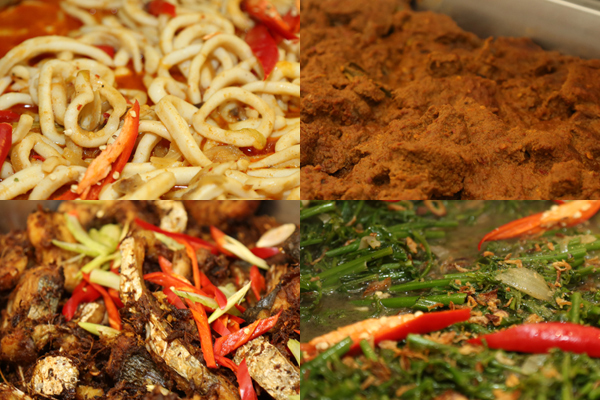 I still have my existing clients so there will be some coverage on their sungkai buffets. 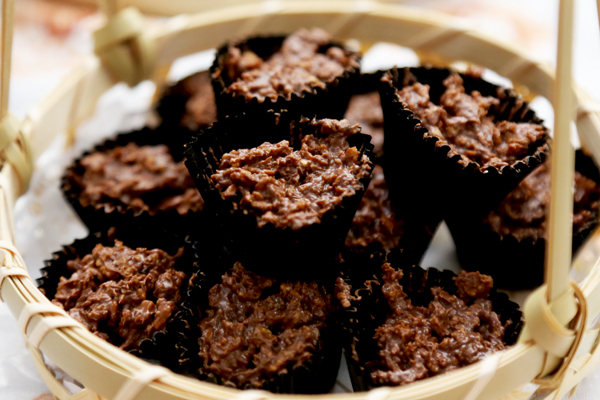 You can follow @bruneifoodies @kurapak @thanislim @marul69 who will be quite active during Ramadhan promotion. 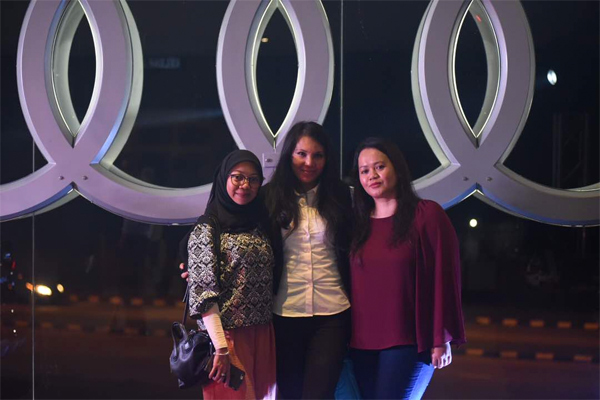 Before my trip to KK, I had the privilege to attend a few car launches and test drives. Awesome, awesome!! 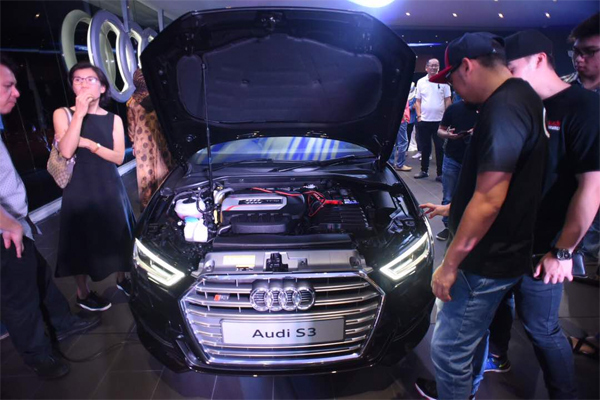 This is definitely the best time to try out new cars in time for the Hari Raya season – the Audi Q2, the Mini Country Man and the Mazda CX-5 to name a few and Jati Transport also had their Hari Raya Special Event where they will be giving BND 1,000 gift certificate to new buyers for the ex-stock vehicles and the offer is valid until 30th June. There are also pre-owned Mercedes-Benz models such as the S 350L, E 300, E 200 and CLA 200 on offer. I’ve been out of the movie scene because normally I catch a movie at least once a week. A few movies to be caught this week – Pirates of the Caribbean (not expecting much) and maybe, just maybe the Tagalog movie but definitely giving The Circle a miss and also Diary of a Wimpy Kid. Looks like Baywatch will be showing soon in Brunei and it will be showing next week along with Wonder Woman. Something to look forward to. 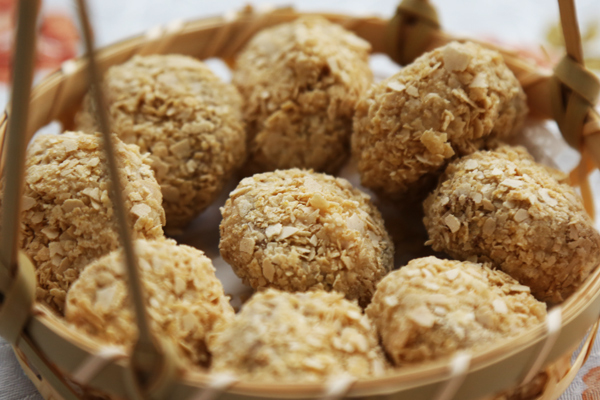 Of course, another to look forward to is Ramadhan. The fasting season is just around the corner and it could fall this Saturday or Sunday depending on the moon sighting. Nonetheless, it’s one of the better months in 2017. I will posting some late news by tomorrow and hopefully I’ll be in better shape (thanks runny) by this week or before Ramadhan. Test driving the Mini Countryman. Reviews soon. 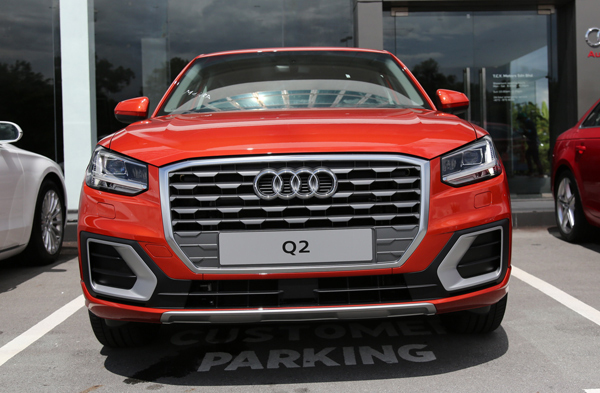 I also had a test drive of the Audi Q2. Reviews soon. 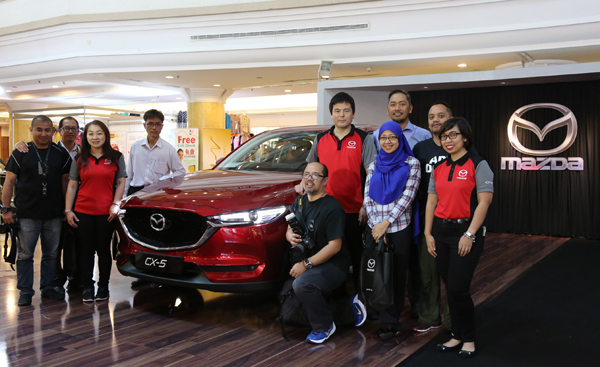 During the roadshow of the Mazda CX-5 at The Mall last week. I can’t wait to test drive the MX-5 soon. 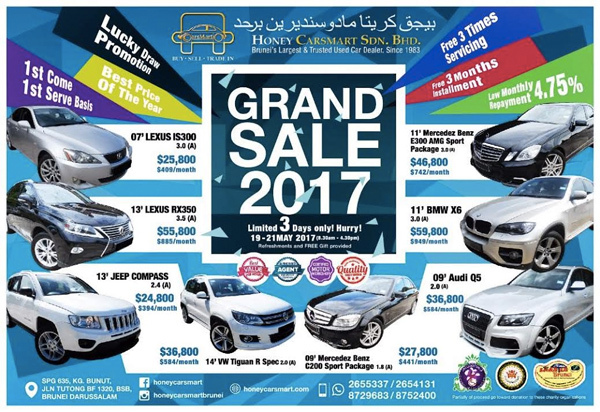 Next weekend Honey Carsmart Sdn Bhd is inviting its valued customers and the public to visit its 3rd Grand Sale for 3 days only on 19th May 2017 – 21st May 2017 from 8.30AM to 4.30PM. 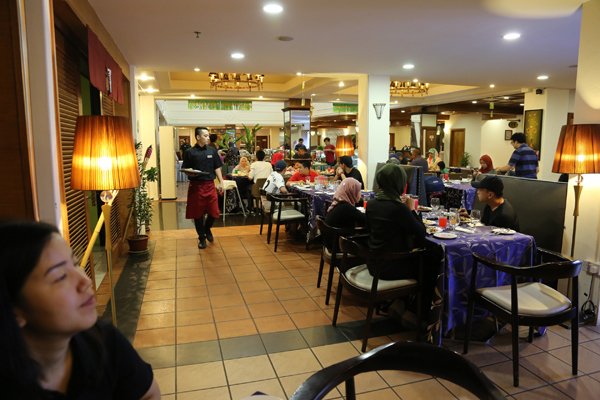 The agency is organizing its 3rd Hari Raya Grand Sale event as gratitude of appreciation to the continuous support, loyalty and trust from the customers over the years. 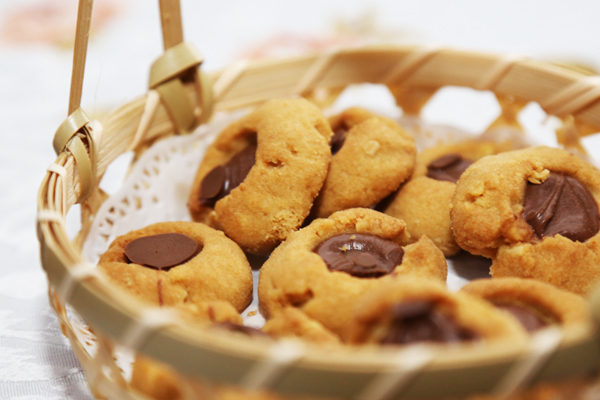 Light refreshments will be served and goodie bags will be given to every visitor who register themselves at the event. 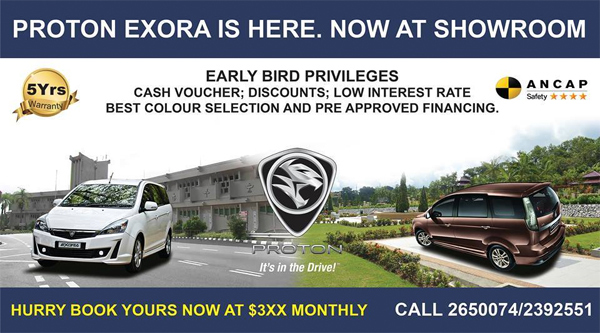 On these limited three days, the company will also be giving out a 3 months free installment and 3 times free general servicing to customers who register themselves and also purchase a used car during this weekend only. As part of giving back to community, the management has agreed that for every car that is sold between these 3 days, a contribution of $300 will be distributed into a charity pool that will be equally distributed for donation purposes to Pusat Ehsan Al-Ameerah Al-Hajjah Maryam, SMARTER Brunei & DANA Pengiran Muda Mahkota Al-Muhtadee Billah. The heads of department that were present were Hj Ahmad Bin Hj Abd Rahman, Head of Policy & Planning, Malai Hj Abdullah Bin Malai Hj Othman, President of the Society for Management of Autism Related Issues and Awg Samsudin Bin Hj Puasa, Secretariat respectively. 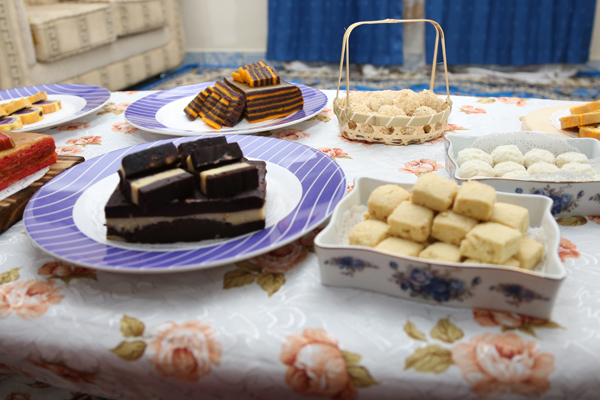 The total proceeds donated to Pusat Ehsan Al-Ameerah Al-Hajjah Maryam and SMARTER Brunei last year was $7,500. With the support of its loyal customers, the company is looking forward for a higher sales target this year to be contributing to the 3 charity bodies. Representatives from one of the financing institutions to be on duty for the convenience for customers should they need to apply for financing on the spot. A motor insurance agency will also be available to customers, who wish to renew their motor insurance. Due to customers’ demand and positive response, this year the company has extended the promotion duration to 3 days and has confirmed to display over 80 selected units and these selection also include makes such as, Audi, BMW, Mercedes Benz, Jeep, Lexus and other popular Japanese and Korean makes. 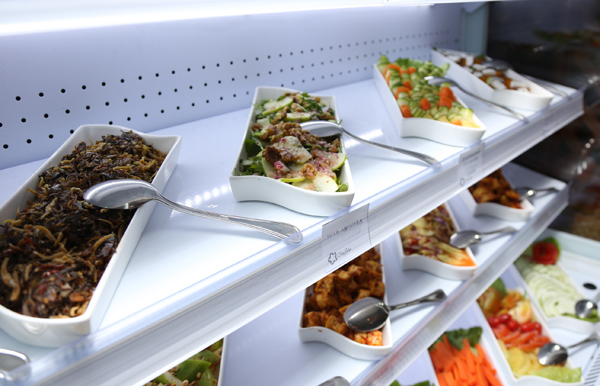 However, these units shall be based on a first come first serve basis in order to be fair to all customers. 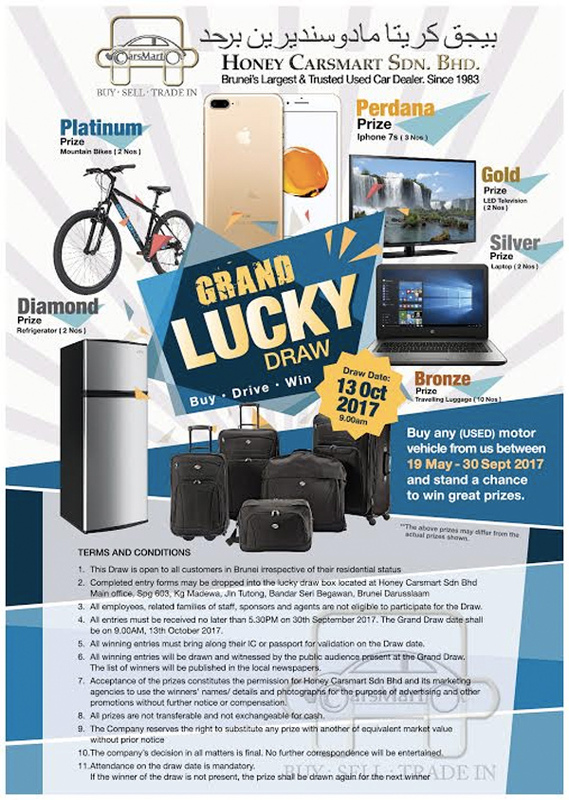 The company would also like to take this event to inform the public that any customer who bought cars from them between 19th May 2017 – 30th September 2017, are eligible to participate in their Lucky Draw promotion, which will be held on 13th October 2017. Prizes will include popular smart phones, house equipment, flat screen television set and many others. 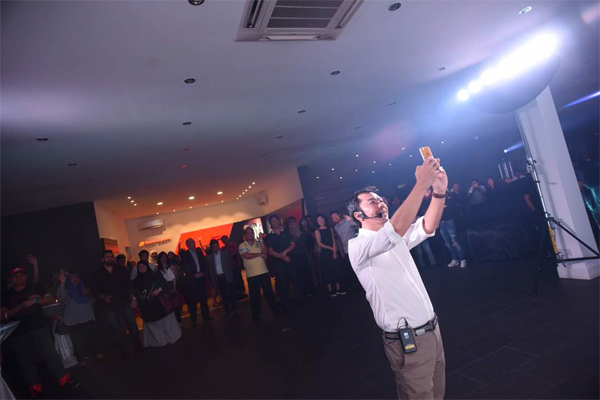 Honey Carsmart Sdn Bhd encourages its customers and followers to check out their social activities at their Facebook page and Instagram @honeycarsmartbrunei for weekly updates on their announcements and promotions. Do you have gadgets or electronics that you have lying in your room, collecting dust and being part of a furniture? Why not trade them in at Bilster Technologies (Citis Square) and you can get a brand new Brother printer at a lower price than usual. 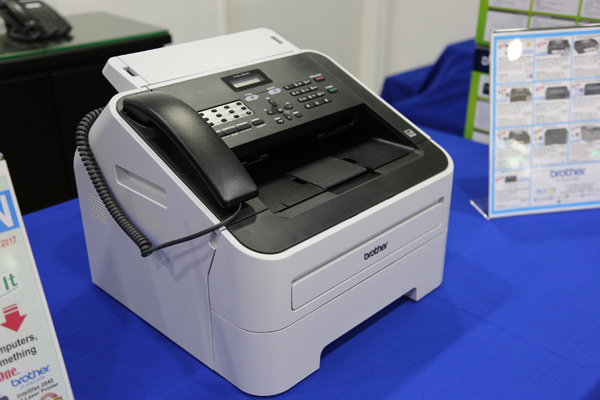 You can choose either the Brother DCP-J100 or the Brother Intellifax 2840. So what you do is just bring your old junk, be it computer, monitor and Bilster Technologies will accept them. The Brother DCP-J100 is an all-in-one A4 Printer with speeds of up to 27 pages per minute and with the ability to handle up to 100 sheets of paper at a time. This is actually great for print for home and home office. It will be available for a price of BND 169 for the trade-in. 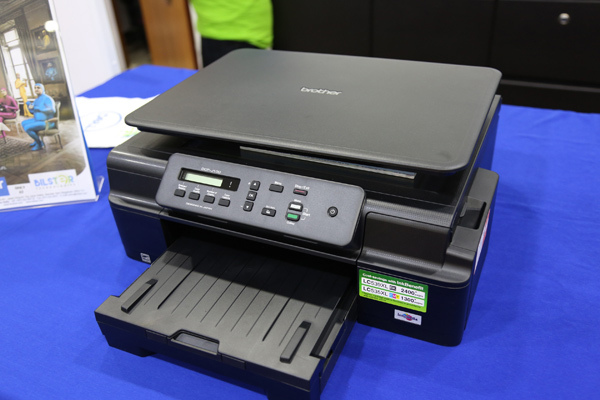 Th Brother Intellifax 2840 is an all-in-one printer with fax capabilities and automatic duplex printing. it even has the convenience of a built-in phone handset which makes calling more convenient. This is available at BND 249 for the trade-in. 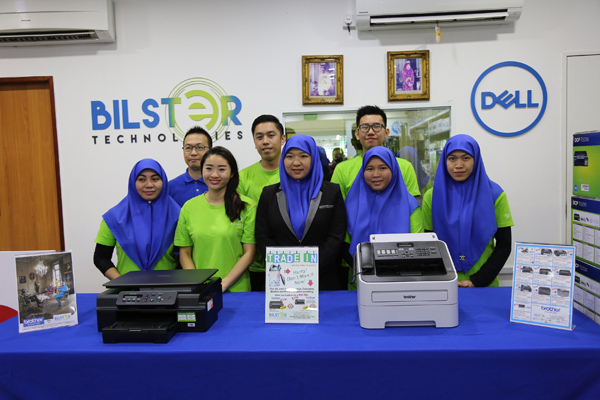 Vivian @ Norsuraya Hj Sabali, Executive in charge of Business Development at Bilster Technologies shared that Brother printers are quite versatile and they provide three years warranty, ensuring a peace of mind for all existing and potential Brother customers. 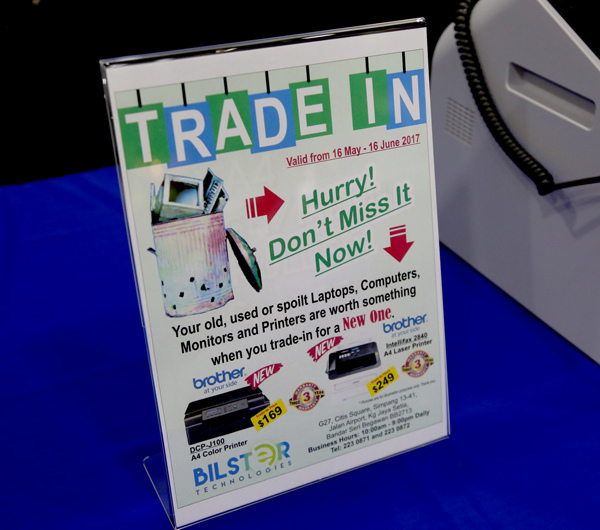 The Brother trade-in offer will end on 16th June 2017. 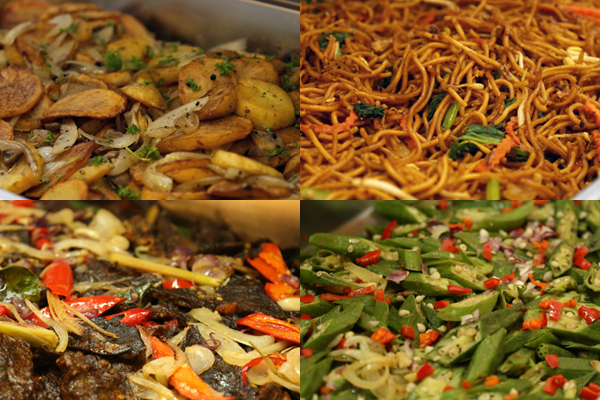 For more information, you can drop by their store at Citis Square or call 223 0871 or 223 0872. 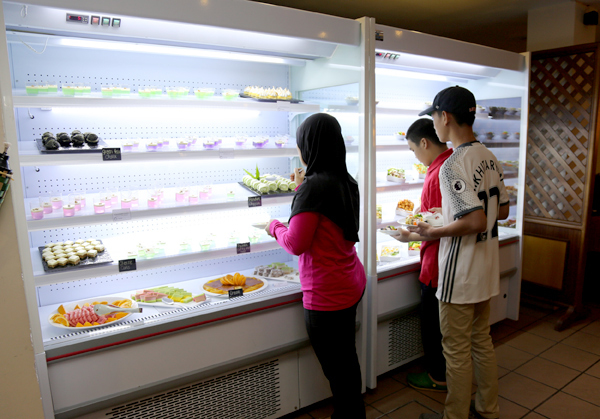 Opening hours are from 10am to 9pm daily. Fitness Zone Managing Director Wu Chun led his team to give back to the community in celebration of Mother’s Day. Read more below for the full story. Once a year, Fitness Zone Managing Director Wu Chun, embarks on a charity project specifically in commemoration of Mother’s Day, and as a great tribute and gift to his mother on mother’s day. 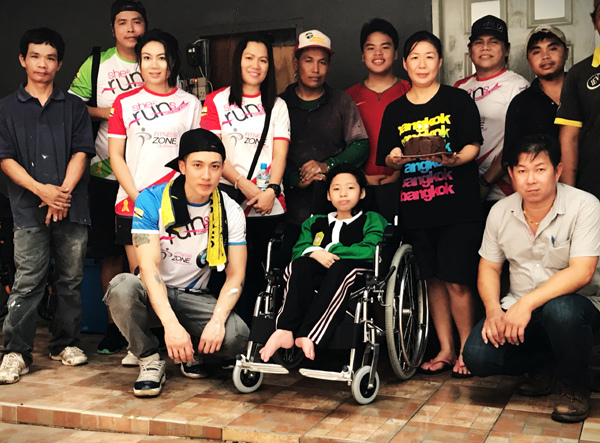 This year Wu Chun with his Fitness Zone team, turned an agent of change for a family of a single mother and Nurhidayat Jafardam, her 13 years old child, who is suffering from Spina Bifida, a permanently disabling birth defect. This medical condition occurs when a baby is in the womb and the spina column does not close all the way so the child has to be on wheelchair since birth. 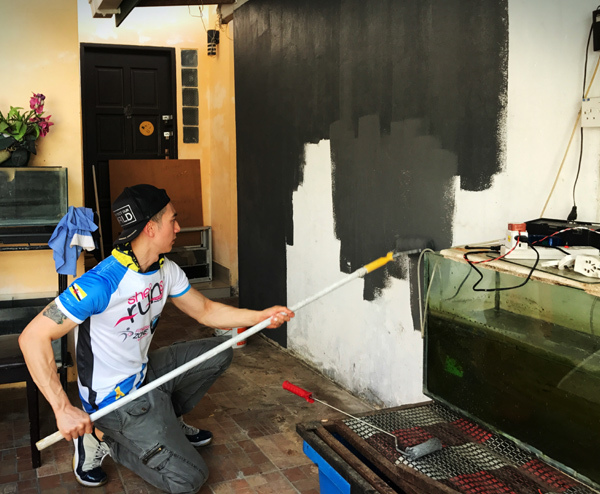 The Team will spend 3 days fixing the very run down one bedroom house situated near Kuala Lurah. Problems such as leaking roofs, broken windows and doors and defective plumbing are all fixed within these 3 days. On top of that, Wu Chun also ensure the single mother and her 2 children aged 16 and 13 can live more comfortable so sufficient lighting throughout the house was added, and also to repaint the whole house with their children favorite colors and also an additional air conditioned bedroom was created for his 16 years old son who has been staying with her mother and sister in a small bedroom since birth. With this, Wu Chun wishes that this family will have a more comfortable place to live with, and a happier Hari Raya in the upcoming month. Doing charity works, and reaching out to those who need help, is one way of giving flesh to Fitness Zone vision and mission, and that is to give back to the community, to give care and compassion to those who need it. 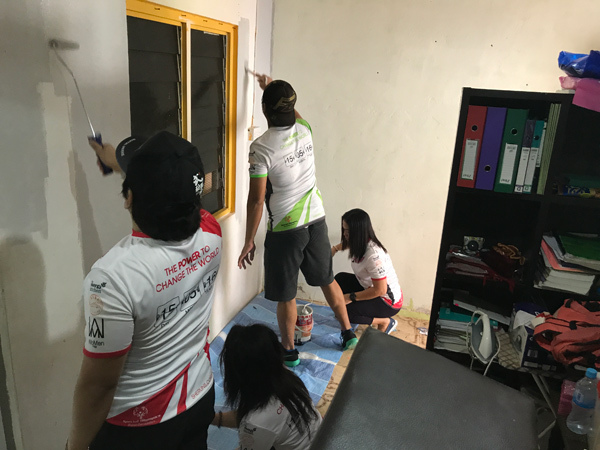 Fitness Zone, who won the APEA Corporate Social Responsibility award is constantly encouraging its staffs and members to care for our communities. In closing, Wu Chun imparted “ Since young, my mother always involved me in charitable project. Caring and changing people’s life is always a great part in my life, and i hope that with a little act of kindness, we can all make this world a better place.